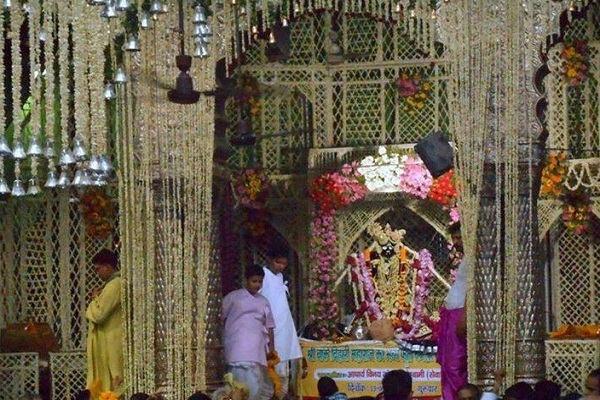 he Banke Bihari Mandir is one of the most popular Hindu Temple in Vrindavan where Radha and Shyam both became one. The temple is surrounded by a market of prasad and flower vendors. Its said that lord Krishna was the 16 kala avatar of lord Vishnu and, thus he performed various leelas on earth. With each leela, he received a special title by his devotees. Here, while standing and playing murli, Krishna used to stand in banded posture. And, therefore, he was called baanke (means bent), bihari (means enjoyer). So, Banke Bihari means Lord Krishna in standing and bending posture. 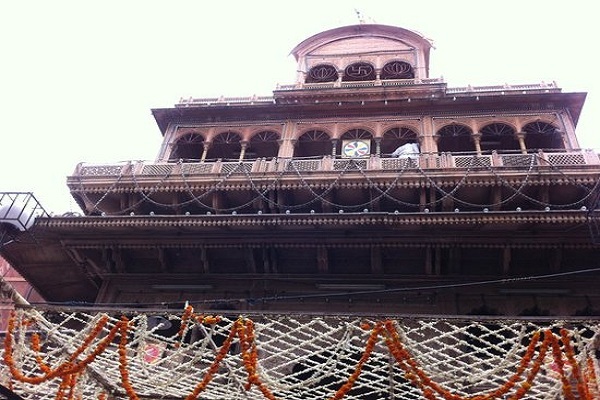 The Banke Bihari Mandir is one of the most popular Hindu Temple in Vrindavan where Radha and Shyam both became one. The temple is surrounded by a market of prasad and flower vendors. The street leading to the temple is quite narrow and is often crowded. The path leading to the main entrance of the temple is covered with flowers and decorative pieces. Devotees celebrate all festival with great energy and enthusiasm here, but the Janmashtami festival is the most special here. 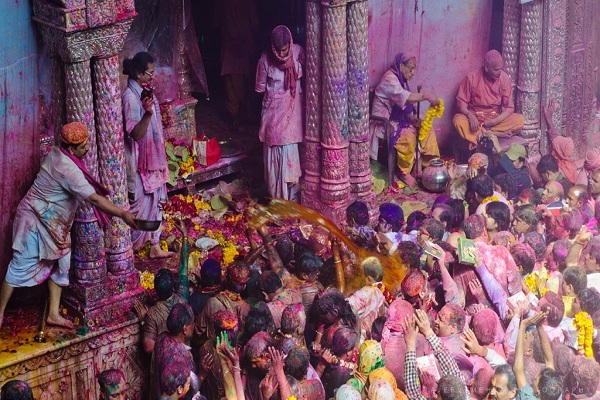 Holi, the festival of colors is also celebrated by coloring each others faces with Gulal. Devotees love to sing and dance on Shri krishna bhajans whole day on Holi. Darhan Timings: Darshan opens for visitors & local students at 9am and closes at 8pm on all weekdays. 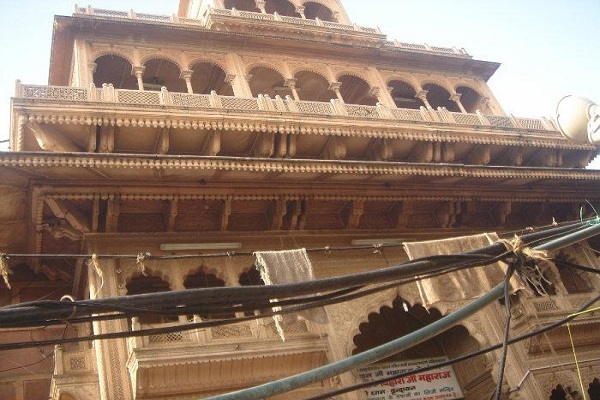 Vrindavan is just 10kms away from Mathura, which is connected to all parts of India through train and road routes. One can take autorickshaw or hire a taxi from Mathura to reach Banke Bihari Ji Temple.